Hi.One more thing , if i use max232 i cant send commands. first codes doesnt work if i use max232. 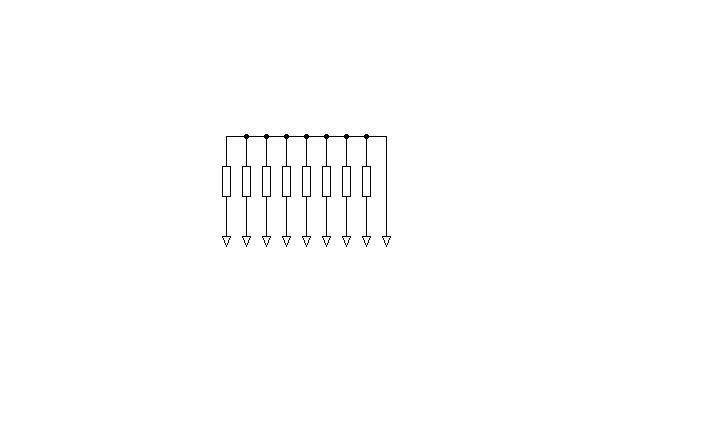 if the resistor array in question is being used for pullups of the uC then the SIP used is internally connected as shown in figure. U can create ur own SIP using individual resistors of the same value in a similar configuration. You can use general resistors instead of the array..just buy the same quantity as the SIP array. You could use regular IC socket for the zif if you can stand the inconvenience of pulling out and shoving in chips multiple times.Could result in damage to the chip too,if not pulled out carefully and contacts could go loose after several attempts.